Many physicians are justifiably afraid of prescribing anabolic steroids or treating patients who are using them. Some are unsure of the proper legal parameters, and others have seen or heard of physicians who were attacked or even arrested for administering anabolic steroids. A physician who causes himself to appear on the radar screen of a state medical licensing board can subject himself to intense scrutiny if the authorities suspect that he is prescribing steroids for muscle building, not for the treatment of disease. Many physicians have recently been arrested for prescribing steroids without medical need or outside the parameters of a legitimate doctor-patient relationship. An aggressive prosecutor or medical board reviewer can tear into a doctor’s records, page by page. An investigation can become a witch-hunt, and a physician’s life can turn into a nightmare. One medical board reviewer, in evaluating the practice of a physician specializing in the administration of androgens to bodybuilders whose endogenous production had been compromised by past steroid use, derided: ‘this practice is so far out of the realm of usual medical practice, I asked myself whether there was possibly some new valid usage of these drugs. Looking as thoroughly as possible, by no means could I find any validity to such a practice.” The physician had clearly “gone too far” in the opinion of that board reviewer. Generally, hormonal therapies are permissible to treat diseases, including hypogonadism based on andropause with symptoms like libido decline. However, hormonal therapy simply to make a healthy man or woman bigger, stronger or leaner (cosmetic or athletic purposes) is a violation of law and of current day medical ethics. At present, any mature and healthy adult seeking to obtain testosterone or human growth hormone exclusively for muscle building must resort to the black market, and accept all of the attendant risks. A separate federal law applies to human growth hormone (hGH), and the most recent clarification regarding the statute was offered by steroid and hGH legal authority Rick Collins, Esq. to PR Newswire and is available to read by clicking here. Every state has its own laws with respect to controlled substances, and the definition of an anabolic steroid varies from state to state. Some states have explicitly legislated that bodybuilding, athletic improvement, and muscle enhancement in healthy patients are not valid or legitimate medical purposes, and have established criminal penalties to discourage physicians (examples include Louisiana [La. R.S. sec. 40:1239] and Oklahoma [63 Okl. St. sec. 2-312.1]). Sometimes the restrictions are set forth in rules, as in West Virginia’s Code of State Rules on osteopathic practitioners declaring that the “administration of anabolic steroids for other than therapeutic purposes” is unethical practice [West Virginia Legislative Rule, Board of Osteopathy, Title 24, 24-1-18, sec. 18.2.6]. It should also be noted that human chorionic gonadotrophin (HCG) is classified as an anabolic steroid and a controlled substance in eleven states. With the enactment of revised federal anti-steroid legislation and the continued furor over doping in sports, it is only a matter of time until most individual states have revised their laws regarding anabolic steroids. Both definitions and penalties are likely to be reevaluated. Meanwhile, enforcement efforts against practitioners catering to athletes may become more frequent. Physicians and hormone replacement clinics facing criminal investigations for prescribing anabolic steroids and human growth hormone may consult with Rick Collins through his office by calling 516-294-0300 or emailing to rick@steroidlaw.com. Rick and his firm have been awarded the highest accolades (AV-rating) for legal abilities and general ethical standards from the prestigious Martindale-Hubbell directory and serve on the executive boards or committees of numerous legal associations. Rick frequently works with physicians and clinics along with their local lawyers in cases where physicians are under investigation for their marketing materials, web site content, and treatment protocols. 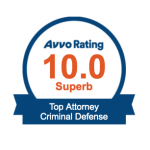 Rick is a highly valuable asset to the defense team when a health care practitioner is accused of improper prescribing or dispensing anabolic steroids or related substances. Call him first! Legal charges surrounding steroids are serious – if you are a physician facing charges or are being investigated for a steroid crime, you need an attorney who not only has unparalleled expertise and proven success in this complex area of steroids and the law, but who is committed to fighting for your rights. 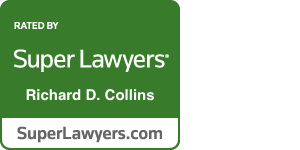 Rick Collins is that attorney – and can provide the experienced legal counsel you need to win your case surrounding anabolic steroids or performance enhancing drugs. Call him today at 516-294-0300 to discuss your case … and how he can help.